Tim Hughes has quickly become one of the most engaging, innovative and appreciated songwriters of his day. It's easy to see how, with songs like 'Here I Am To Worship', 'Beautiful One' and 'Consuming Fire' coming early on in his career. But he's just kept on getting better, with 'God Of Justice', 'Give Us Your Courage' and 'Happy Day' all shaping the Church over recent years. 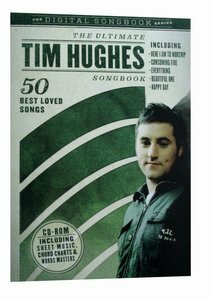 About "The Ultimate Tim Hughes Songbook (Cdrom)"